You know how thereâ€™s always a â€œsong of the summerâ€�? 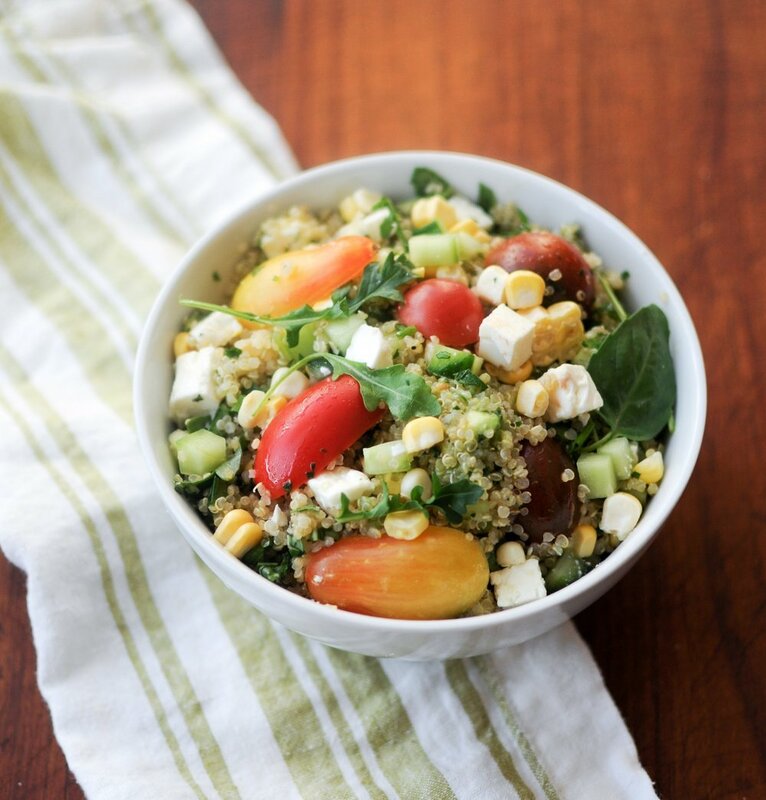 ðŸŽ¶ Well, this is the SALAD of the summer thatâ€™s playing on repeat in my kitchen: Summer Quinoa Tabbouleh, with heaps of fresh herbs, local cherry tomatoes, cucumbers, corn, avocado, feta, and a sunshine-y lemon vinaigrette. Tabbouleh is a classic Middle Eastern dish traditionally made with couscous, but I've swapped it for quinoa, which is a naturally gluten free seed that's packed with protein, and is one of the few plant foods that contain all nine essential amino acids. This is a substantial salad that can easily be served as a vegetarian main course, though it's also a lovely side salad to round out a summer meal.